Love top notch crime fiction? 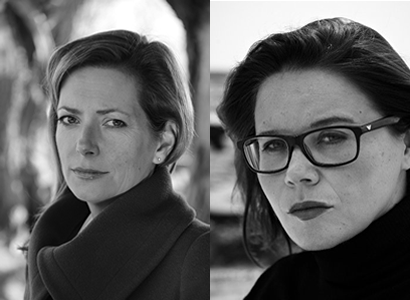 Then join us for an evening ‘in conversation’ with crime writers Sarah Vaughan and Fiona Cummins as they come together to talk about their new books Anatomy of a Scandal and The Collector. Come and hear how they started their crime writing careers, trade stories of their craft and discuss how to create a gripping storyline. Sarah Vaughan’s highly anticipated debut, Anatomy of a Scandal, centres on a high-profile marriage that begins to unravel when the husband is accused of a terrible crime. A scandal that will rock Westminster. And the women caught at the heart of it. Sophie is sure her husband, James, is innocent and desperately hopes to protect her precious family from the lies which might ruin them. Kate is the barrister who will prosecute the case – she is equally certain that James is guilty and determined he will pay for his crimes. With The Collector, Fiona Cummins returns with another spine tingling and twisted crime novel. We’re delighted to welcome Sarah and Fiona to Oswestry as part of our ‘Criminally Good’ series of events celebrating crime writing of the very first order. Tickets: £6 (£5 redeemable against a signed copy of either book) Includes a glass of wine/soft drink on arrival. Tickets available from the bookshop, or purchase online (with booking fee).